The Unit Title form of subdivision was developed mostly for commercial multi-level buildings, and has not been widely utilised in Hawke’s Bay. This is likely to change as development densities increase and buildings incorporate multiple uses, under differing ownership. The discussion below provides two examples of unit title subdivisions recently completed by our Surveying The Bay. Further experience in this field comes from our exposure to unit title developments in Auckland and Dunedin. Surveying The Bay are well equipped to advise you on the appropriateness of the unit titles option for your subdivision project, and can assist with the associated resource consents, land transfer and Council certification processes. The redevelopment of an historic building in Dickens Street, Napier by the K2 Investment Group Ltd involved a partial demolition and rebuild as well as extensive new building works. The end result is a 47 room visitor’s accommodation facility operated by the Quest Chain. The underlying parcel has been subdivided under the Unit Titles Act to provide investor sized parcels (each subject to a lease) to broaden the potential market. Our input included advice as to layout issues, analysis of the relevant planning provisions, preparation and submission of the subdivision consent, site survey works and preparation of Unit title plans, arrange for certification of these by the Napier City Council, and extensive investigations into the rating provisions applicable to this development. The Staples Rodway building was designed around retaining and restoring the old Hastings Fire Station buildings in Hastings Street South. 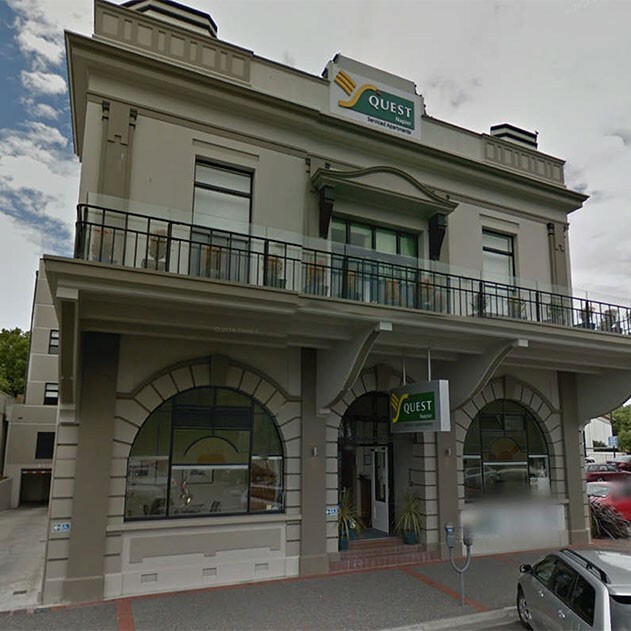 Extensive demolition and redevelopment works were carried out, and the result is a very high quality commercial building occupied by leading Hawke’s Bay legal and accountancy firms. Our input included the land transfer survey to remove the underlying “limitation as to parcels”, site survey and subdivision consent works, and the preparation of Staged Unit title plans.